After many years of cooking a whole Thanksgiving dinner and getting my pace and timing down just right, I am taking a break. Tonight will be the first Thanksgiving dinner I will not be cooking. We are going to spend Thanksgiving with my husband’s side of the family, and Aunt Faye will be making us a fantastic old-fashioned Thanksgiving meal. Of course, I’m not coming empty-handed. 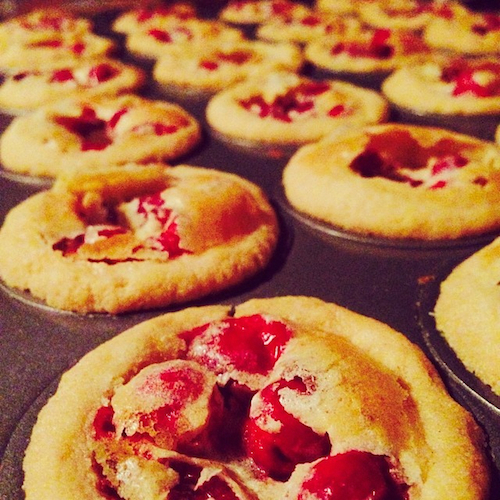 I made these Cranberry Tarts at my daughter’s birthday party recently and they were a hit with everyone. The recipe is gluten-free and nut-free, very important since we have people with gluten and nut sensitivities in the family. 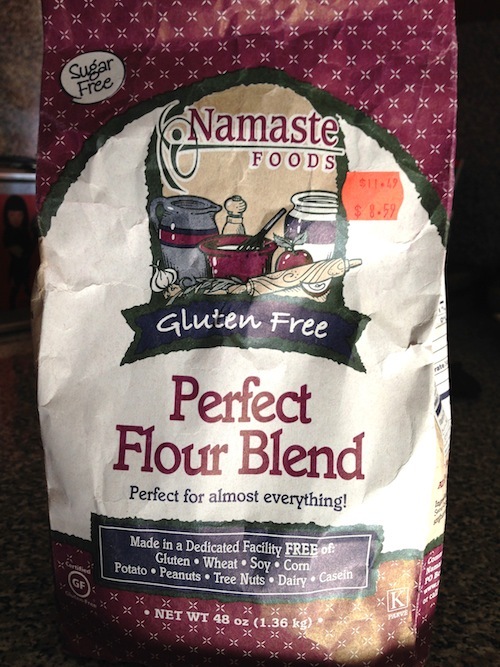 I use Namaste Foods Gluten Free Flour Blend. My daughter helped me make these, and it was all we could do to keep ourselves from eating them all up before it’s time to go to Thanksgiving dinner. Preheat the oven to 325 degrees Fahrenheit. Grease the mini muffin pan with butter wrapper. Beat together gluten-free flour, butter and cream cheese until it forms a ball of dough. I don’t have an electric mixer, so I just use a wooden spoon to combine the ingredients, then knead it by hand until it’s a nice smooth consistency. Pinch small portions, roll them up in balls, flatten and press evenly into the bottom and sides of mini muffin cups. Now we’re ready for the filling. Whisk together sugar, egg, butter and vanilla. Wash the fresh cranberries in a colander. 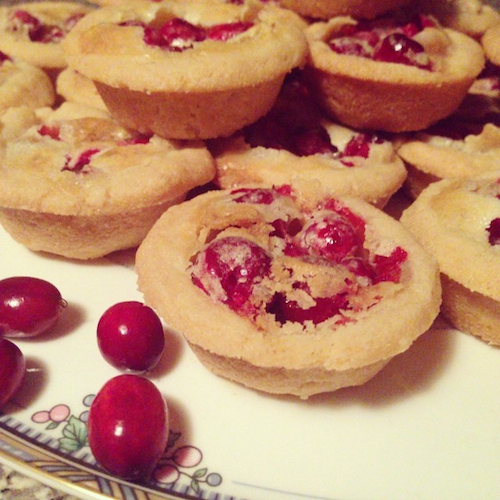 Put about 5 cranberries in each mini muffin cup crust. This was like playing mancala. 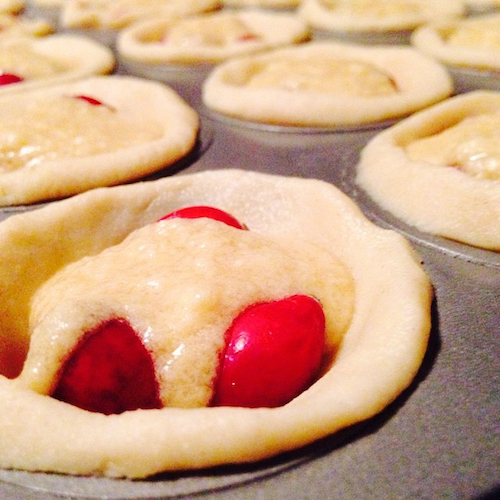 Pour a small spoonful of filling over the cranberries in each mini muffin cup crust. Bake for 25 minutes, or until the tarts are golden. Let it cool completely then remove from pan. Share these treats with your family and friends!